Striving for peak performance? These seven superfoods will fuel your tank with what it takes to achieve your goals! Quinoa is often referred to as a grain, but in reality it is a seed with exceptional nutritional content. It has nearly twice as much protein, ~8 grams per cup, as other grains and is one of the only foods to contain all nine essential amino acids our bodies need to both build lean muscle and recover from tough workouts. It is also a complex carbohydrate and therefore metabolized at a slower rate, providing longer lasting energy. With this combination of protein and carbohydrate, Quinoa is a great fuel source for your exercise regimen. Tart cherry juice or tart cherries have a powerful combination of phytonutrients, vitamins and minerals and are known for their anti-inflammatory properties. New studies also suggest that tart cherries may have the ability to reduce muscle pain. And the high amounts of melatonin in tart cherries have been shown to support sleep quality and duration. 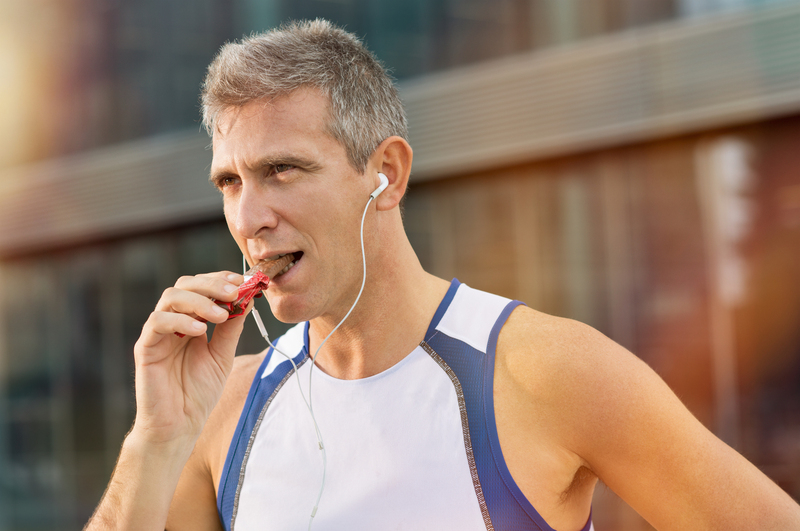 All in all, cherries are a great snack either before or after exercise. Oily fish, like salmon, mackerel, and trout, are good sources of lean protein and omega-3 fatty acids, which help reduce inflammation. Omega-3 fatty acids protect the heart by reducing blood-clotting factors and lowering triglycerides and blood pressure. Salmon is also high in vitamin D, an important nutrient for maintaining strong, healthy bones. At about 100 calories apiece, bananas are a great source of easy-to-digest sugar and natural electrolytes. They’re also a favorite post-event recovery food, and for good reason: One medium banana contains 422 mg of potassium, which your body needs to regulate fluids and prevent muscle cramps and spasms. Because you sweat out potassium during physical activity, it’s important to replenish as soon as possible afterward. Maca is a native Peruvian superfood that grows in the Andes. Studies suggest Maca may support continuous exercise by increasing glucose in the blood stream. Rich in amino acids, phytonutrients and a variety of vitamins and minerals, maca is also thought to aid adrenal function to increase energy. And because it contains elements such as magnesium, calcium and silica, maca powder supports overall bone health. Few people consider beans when it comes to exercise fuel, but for long lasting energy, garbanzo beans, are an excellent choice. Also known as chickpeas, garbanzo beans are legumes found predominately in Mediterranean diets. They offer a great combination of protein and carbohydrates to provide sustained energy. They also are rich in iron that is important for oxygen transport throughout the body. Cocoa flavanol antioxidants support exercise performance, brain function, and cardiovascular health by enhancing endothelial function, blood flow, and the delivery of oxygen and nutrients throughout the body. The substantial impact of cocoa flavanols on flow mediated artery dilation (FMD), a common measure of blood vessel function and flexibility, has been well characterized and thought to be the driving force behind observed health benefits. For optimal results, consume 500mg to 1,000mg of cocoa flavanols 60 to 90 minutes prior to exercise.